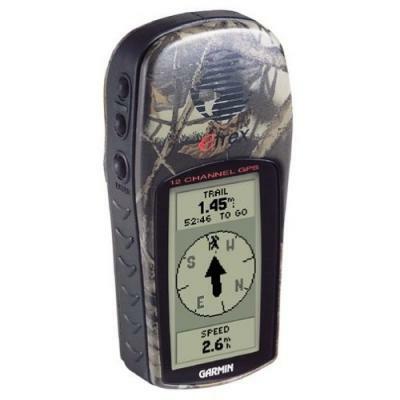 Housed in a waterproof camouflage case, the Garmin eTrex Camouflage is the perfect GPS device for your next hunting trip. This 12-parallel-channel GPS receiver comes in a 5.3-ounce unit that is only 4.4 inches high and 2 inches wide. It literally fits in the palm of your hand. And thanks to its RealTree Hardwoods camouflage pattern, you can keep the eTrex by your side without giving away your location. All buttons are located on the sides of the unit, allowing for simple one-handed operation that won't obstruct your view of the display. The eTrex features only five operator buttons, making for a user-friendly design. The Garmin eTrex is completely waterproof, so it can take an accidental splash or dunk in the water and still continue to perform. Even while operating in forestlike conditions, the Garmin eTrex will continue to maintain a tight satellite lock. The unit can store up to 500 user waypoints with graphic icons and boasts Garmin's own TracBack feature that will reverse your track log and help you navigate your way back home. In addition, the Garmin eTrex uses animated graphics that will help you identify your marked waypoints quickly and easily. The most recent addition to the eTrex Personal Navigator series is the camouflaged eTrex. Concealed beneath the new sportsman-friendly pattern is a compact, waterproof handheld GPS - among the smallest on the market. Measuring roughly 4"x 2"x1" and weighing less than 6 oz., this personal navigator is packed with all of the features of the original eTrex, plus a hunting and fishing calculator that provides optimal times of day to plan your sporting excursions. The eTrex offers easy, one-hand operation with buttons located on each side; logical operations, using four information pages; proven 12-channel GPS performance; long battery life; storage for up to 500 waypoints, including 30 user-configurable icons from which to choose; and Garmin's patented TracBack technology to find your way back to your starting point. 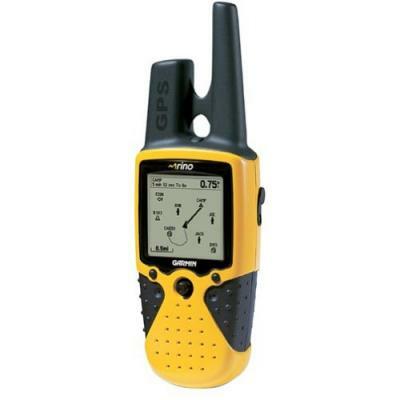 Look at our recommended stores for more details on this product or on other GPS handhelds.